Sony to launch 3D TV into homes next year | What Hi-Fi? Howard Stringer, Sony chief executive, will announce today at Berlin's IFA technology show that Sony will globally launch a range of 3D TVs by the end of next year. With this announcement, Sony will pip several rivals to the post in terms of concrete 3D news. Sky has been talking about a 3D channel avaialble on its Sky HD platform at some point next year, but it is not clear whether the company is able to create the conditions for sufficient hardware to exist in order to view it. 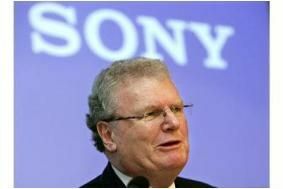 Howard Stringer, Sony chief executive, will announce the news at the Berlin IFA technology show later today. He will aannounce plans to make Sony's Blu-ray payers, PS3 console and Vaio laptops all compatible with the new 3D technology, as well as manufacturing a whole new range of 3D flatscreen TVs. Sony's approach to 3D technology still has many issues, as Stringer is expected to admit, to iron out. There is still the risk of another destructive format war, if other manufacturers choose to pursue the technology in a different way. Sony's approach involves 'active shutter' technology for its 3D glasses, as opposed to the 'polarisation' glasses preferred by some industry players. Sony claims its technology has the advantage in the home, as it makes 3D more effective from a wide range of viewing positions, instead of one 'sweet spot'. Meanwhile, Sony has also announced plans to outsource its American LCD TV production to a Taiwanese company, which will take over the Sony TV plant in Tijuana, Mexico.